Hey all! 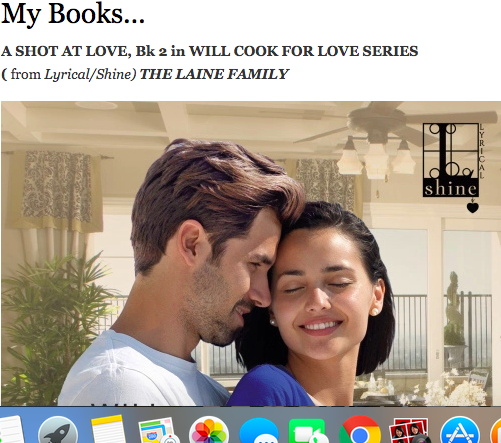 There’s currently a Goodreads giveaway running for my October release of A SHOT AT LOVE, book 2 in the WILL COOK FOR LOVE series. 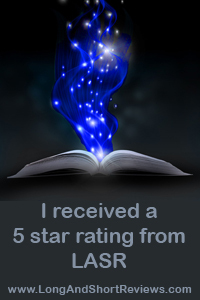 Just click on GOODREADS in the previous sentence to enter. 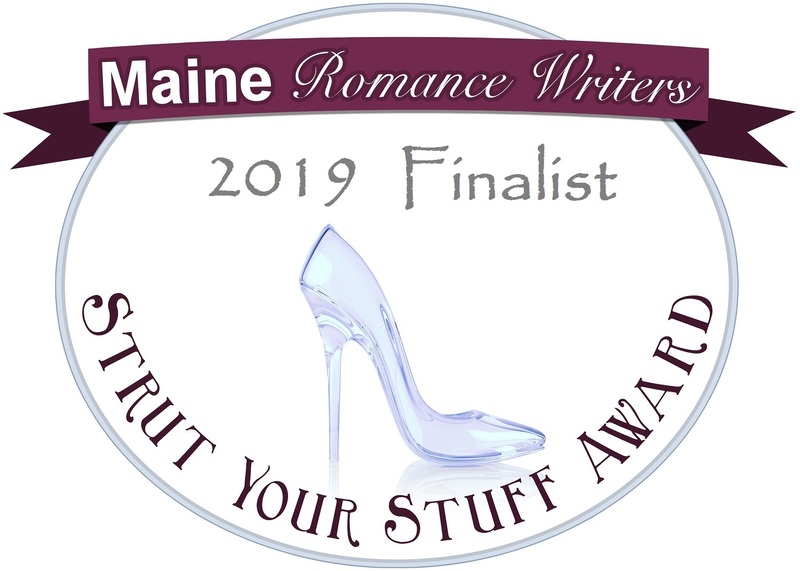 If I get 300 entrants, I’m going to post a special scene that didn’t make it into the final copy of the book here on my website, so please, pass this link on to anyone who enjoys romance! 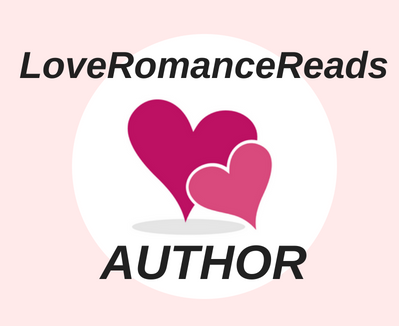 I’f I get 500 entrants, I’ll choose a name for a special chance to win a signed first edition copy from me! And Holy Smokes, if I get more than 500, well, I’ll think of something special to give away from me, never fear!!! 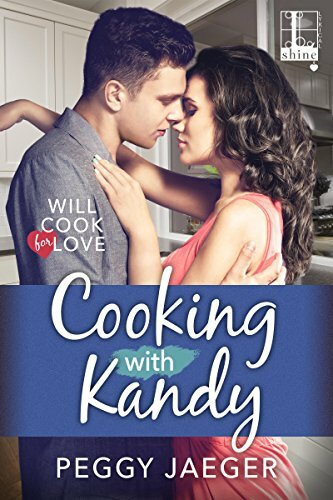 I’m just tickled pink to share this with you: Kensington/Lyrical is having a GOODREADS giveaway of my soon-to-be-released novel COOKING WITH KANDY, book 1 in the Will Cook For Love Series. The giveaway starts on January 30, so you know I’ll be mentioning it frequently to remind everyone to enter!. “Brawn and brains,” she said, eyebrows lifting, eyes widening in a mocking motion. 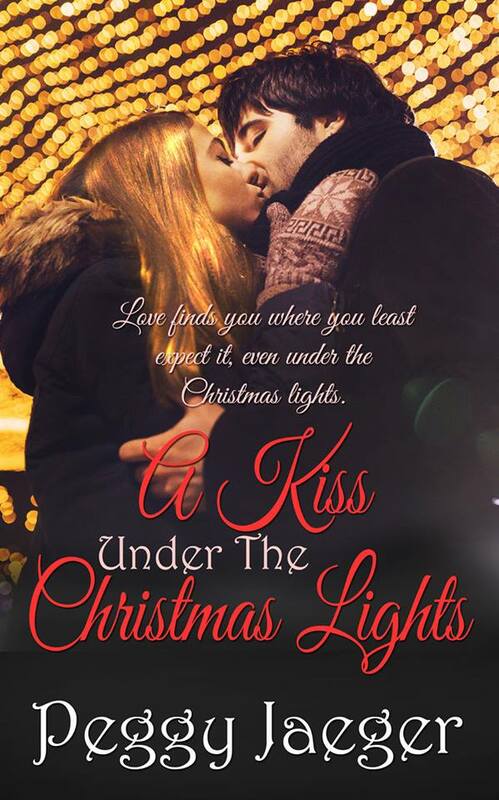 When his lips twisted into a full grin, Kandy’s heart started to tap dance against her chest. Since meeting him in Stacy’s office, Josh Keane had made her pulse trip more than it had in some time. Seated across from her cousin, his long legs splayed out in front of him, Kandy knew even before he stood he would tower over her. No easy feat for most of the male population she came in contact with. When he’d stood, she found herself staring up into the greenest pair of eyes she’d ever seen. The color of moist grass, deep and verdant, they possessed a forceful intensity she assumed perceived much more than the average man. Kandy suspected this was a guy who set pulses on race mode to every female he encountered. Shoulders that went on for yards tapered into a narrow waist and slim hips, set in what she recognized as expensive trousers. The black crew neck shirt he wore matched the color of his hair. All in all, a man a girl could lose her head over. Last year I officially read 150 books in the Goodreads reading challenge. I say officially because I actually read more like 250, but the extra numbers weren’t on my Kindle and I forgot to enter them into the challenge stats whenever I was finished. This year, I’ve signed up again and my goal -again – is 150 books. It will probably be more, but that’s okay. 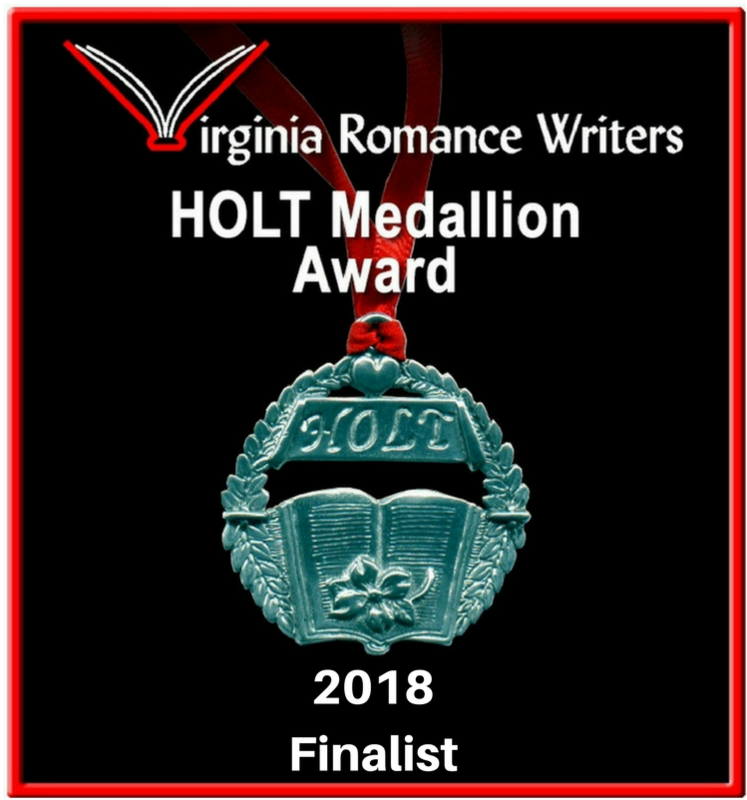 I’ll try to remember to add the paperback and hardcovers after I finish them. I tell you all this because I feel a reading challenge is an important undertaking no matter what age you are. We all remember having reading lists over summer vacation while is school. Some of us found it torture to get through the required books, while others of us ( like moi) asked for extra books because I’d finish the required ones in the first few weeks. Those summer reading challenges were meant to keep kids on the reading track and not get lazy and have all those drilled in vocabulary and spelling words forgotten over the 8 weeks of summer recess. How can a person never open another book? Never want to be entertained using their mind, imagination, and emotions? 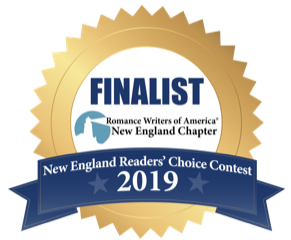 Never want to lose themselves for a few hours in the plights, adventures, and romances of characters who jump off the page and into their lives? Never want to educate themselves on new topics, inventions, or learn from the biographies and autobiographies of leaders, movers, and shakers int his world?? I think reading challenges should be mandatory for everyone. I know. Read that sentence again. The word that sticks out is MANDATORY: required by law or rules; compulsory. I know this would never fly legally. You can’t make someone read if they don’t want to. But how about a hard sell of encouragement? Listen, we got two generations of kids off drugs with THIS IS YOUR BRAIN ON DRUGS campaign. I bet we could do the same with people who don’t read. Show something rotting – like five week old fruit and say THIS IS YOUR BRAIN WHEN YOU DON”T READ REGULARLY. I’m not an ad executive and don’t work in publicity for a reason, peeps, but you get my drift. I am challenging everyone who reads this today to a 2017 reading challenge. The prizes are vast and include: you’ll be smarter, happier, more entertained. You’ll have things(Books) to talk about at parties, opinions about situations you never thought you’d have, and a general feeling of being smarter than you’ve ever experienced before. You’ll come across as erudite, well informed, and well-read. Try it. 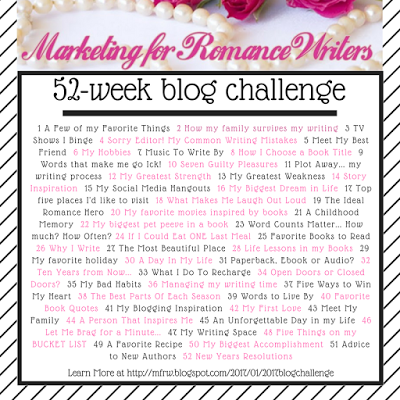 Set a reading goal – write it down ( or send it to me!) and put it someplace you’ll see it every day. And then follow it. 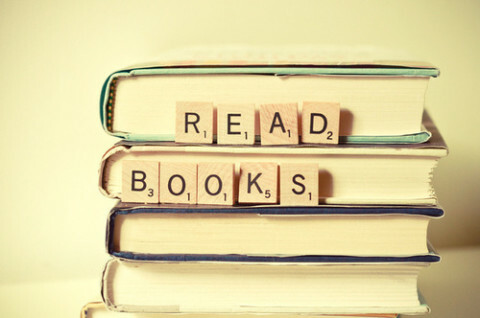 Reading, to quote Martha Stewart – an avid reader – is a good thing.